Read It Before It Gets Brought Down! Up until just recently we’ve only had little tidbits of D&D Next information thrown our way, sometimes from official events and conventions, or the polls WotC has been running on their website. There have also been some supposed “leaks” of playtest documents floating around the internet, but the credibility of those is questionable. Now we have yet another source – NDA’d bloggers. 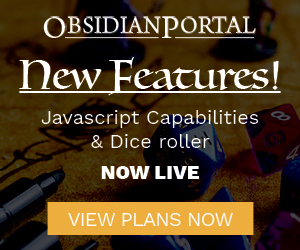 A recent change, perhaps something internal, has caused some D&D community members to become vocal about their experiences with the still in development version of D&D. Haste Podcast: D&D 5e Announcement, Atomic Robo RPG, Pathfinder Battles! Tonight we are joined by Dave “The Game” Chalker, editor-in-chief of Critical Hits.com and freelancer of many, many facets. Dave has been doing some work on the Marvel heroes RPG with Margaret Weis Productions recently, among many other things including writing DDI articles and being one of the first to play test the next form of D&D. We’ve also got a fresh Caption Contest and Campaign of the Month, so be sure to check them out! The Shadowfell is a place between worlds, it is a dark mirror of the material plane where everything within is tinged with death, decay and morally gray tones. The inhabitants of the Shadowfell are all tainted or crooked in some regard, it is a place where death seems insignificant and the city walls themselves even seem to keep a watchful eye. Espionage, black politics, factions and many a mystery permeate this dread plane. In a world where everyone and every thing is seemingly out to get you, survival is surely an accomplishment. The Shadowfell boxed set is to serve as a campaign setting across most levels of play, a recurring locale, or perhaps one the players must escape from or break into. No matter how you look at it, if you’re in the market to run something dark, bleak or oppressive this is probably a great way to get started. Here I am at DDXP and bringing to you as fast as my fingers can type, live updates from the Expert Dungeon Mastering. We know that the D&D VT won but being that DM’ing (GM’ing) is a universal language to players of all RPG’s it just seems like a better fit. So spam those refresh buttons with a vengeance! Everything will be in chronological order, enjoy! Chris perkins introduces himself and Greg Bilsland. The seminar will be conversational. Perkins asks for the #1 problem people have with DM’ing, first response “Remembering Everything!” (I wonder if this guy has heard of Obsidian Portal?! ).